Prominent and attractive wide format prints are very effective for local advertising. When displayed in strategic places, they grab attention instantly and publicise your business effectively. Essentially, wide format digital prints are effective advertising materials that allow for high impact graphics to be applied to a wide range of materials and substrates. Inkline Print & Signs is your trusted partner for high quality wide format digital printing in Canberra and Queanbeyan. 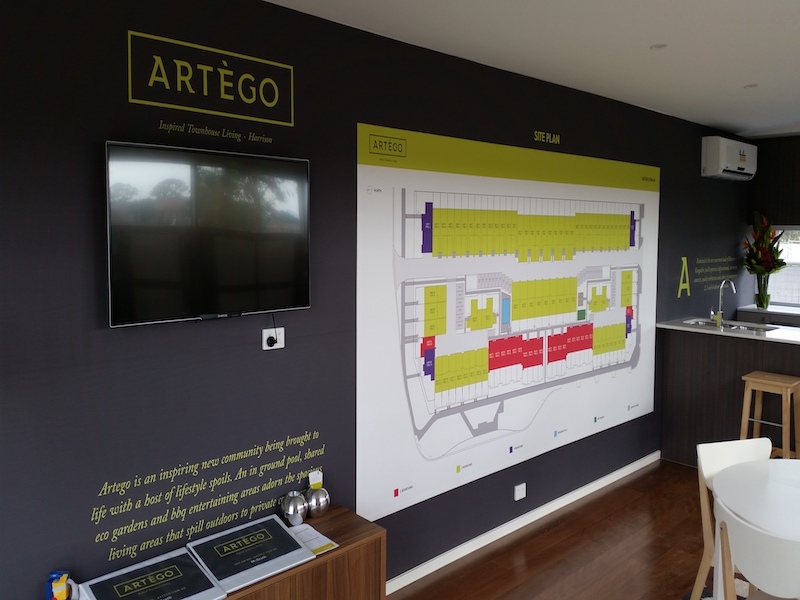 Our wide format digital prints are ideal for large windows and walls and can be cut to any shape and completely customised. We offer prints that are up to 1600mm in width and of any length per your requirements. What does Inkline Print & Signs offer? At Inkline Print & Signs, we use the latest print and cut technology to render diamond like clarity and precision for your wide format graphics. The full colour, high resolution, digitally printed graphics we offer portray your message with great effect. Why Inkline Print & Signs? Ensure longevity of wide format graphics by protecting them with our wide format laminating service. Lamination protects printed graphics against graffiti and atmospheric factors. We offer gloss, matte, satin and graffiti proof lamination of any length and up to 1300mm wide. Get in touch with us to know more about how we can help with your wide format digital printing needs or call 6297 1633 for a quick quote.